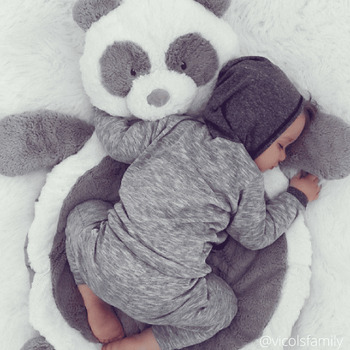 Babies adore the luxurious softness and soft padding in our plush pals play pads! The generous 31 inch size of these pads makes them ideal for hours of playtime fun on the floor. They are easy to keep clean, as they�re fully machine wash with damp dry. Play pads are easily folded up for use on the go. Choose from a large selection of adorable animal characters. These are an exceptional baby shower gift for boys and girls alike. Click on the More Images tab above to see all the different critter pals available! And don't miss our Tactile Critters Ribbunz Play Pads. I purchased two of these adorably soft and plush play pads as baby shower gifts. The moms-to-be and her guests fell in love with the design, plushness, softness, and cuteness! Can't wait to see my granddaughters cuddled on the play pads! Thank you. ProsThe idea is great. Just place the play pad anywhere for your sweet baby to feel comfortable and CUTE!! !